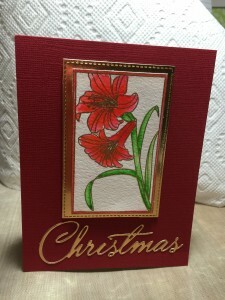 using the Botanical Blocks III stamp set from PTI I decided that making my elegant card would be easy I stamped the amaryllis stamp with Versafine and Ranger Gold fine embossing powder I used Zig Clean Color Real Brush in the colors of Scarlet Red, Red, Pale Green, and May Green with a watercolor brush and water. 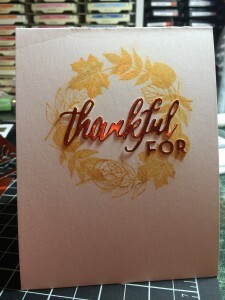 Added the word die of PTI Christmas Cheer (Christmas) in gold DCWV Foiled card stock. Finding your own way sometimes isn’t that easy. 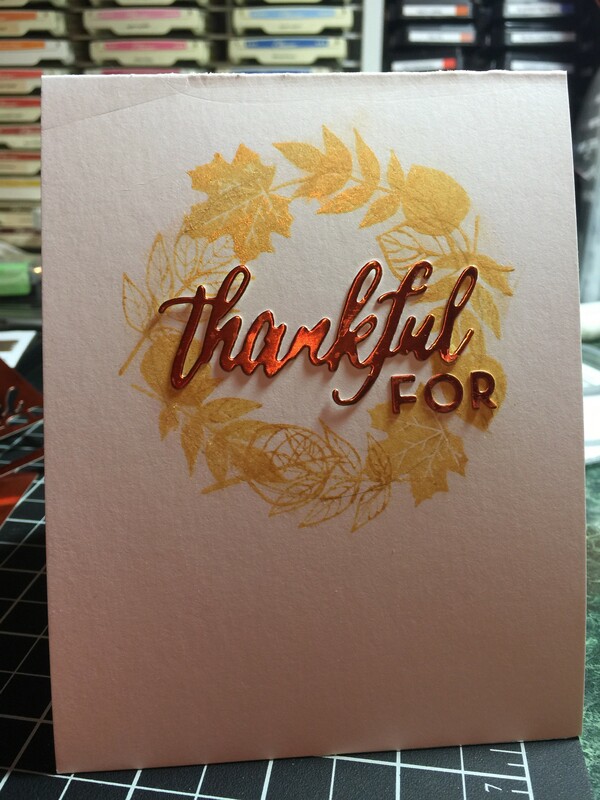 Used the tree line die from MFT to start the card. 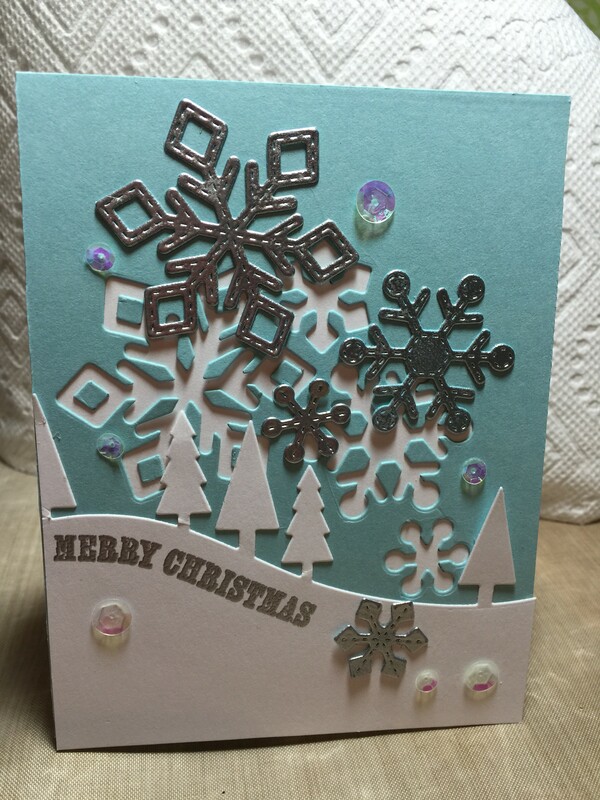 Found that the LF Stitched Snowflakes made a great background. 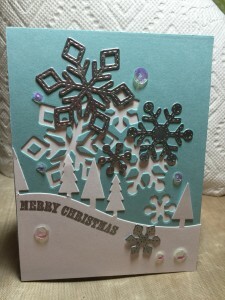 Detailed the snowflakes with Ranger Silver Fine Embossing Powder and the “Merry Christmas” from PTI peaceful pinecones . 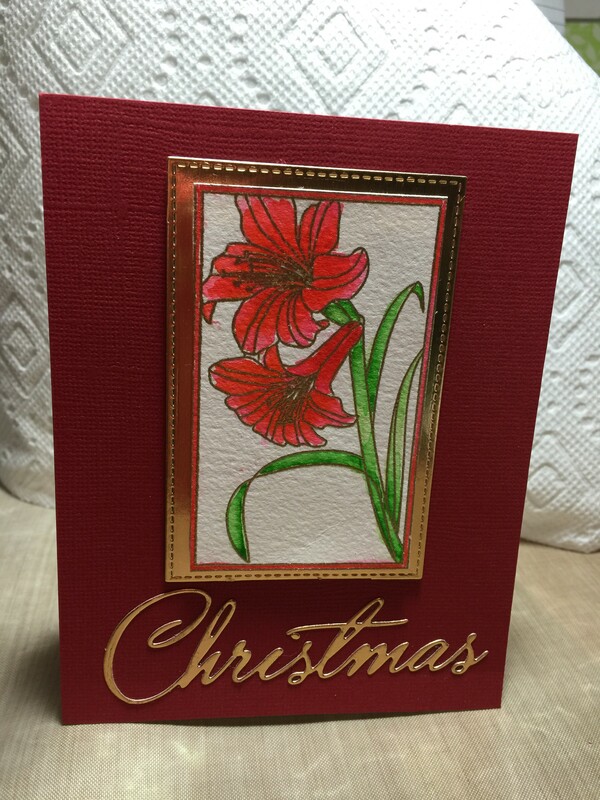 My card was done on Solar White Neehan Card Stock #110 lb and #80lb card stock.